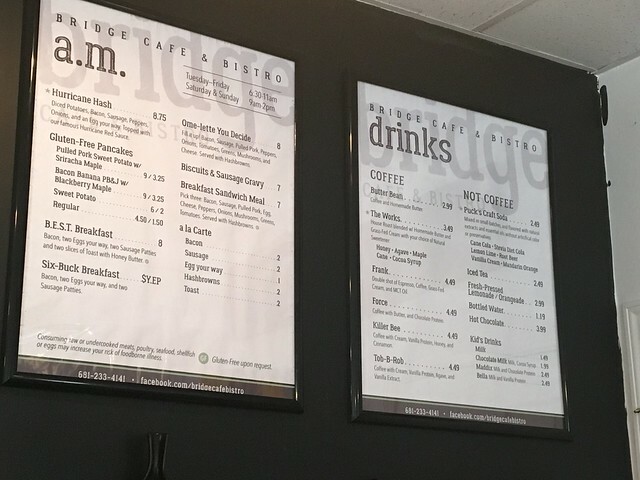 While there is another "Bridge" named restaurant just nearby in Charleston, Hurricane's Bridge Cafe & Bistro has certainly set itself apart. 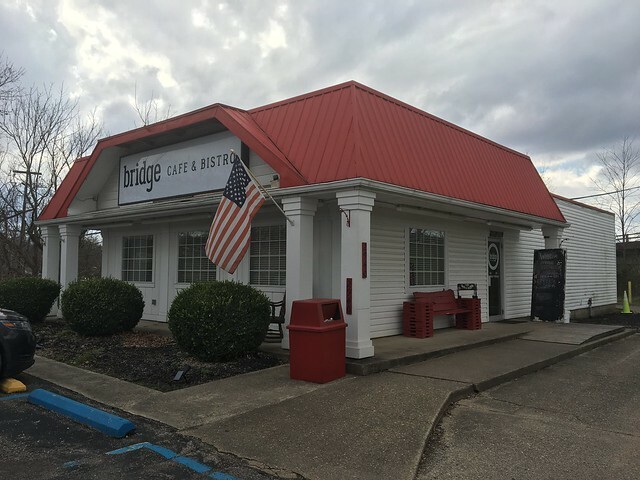 Bridge Cafe & Bistro is housed in a really sweet little building with a red rooftop. 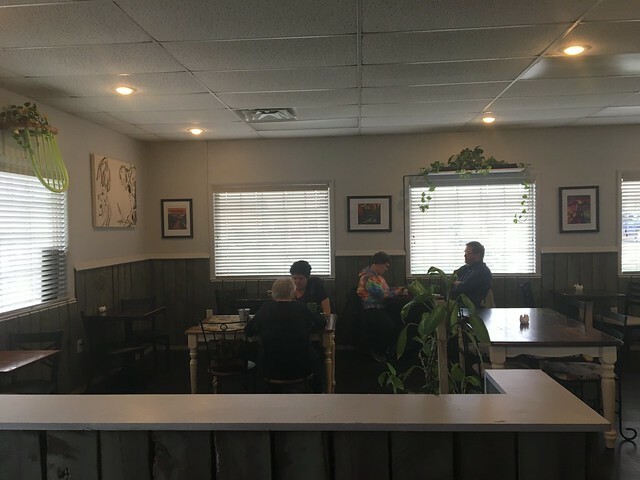 There is bar seating and a small dining area where folks can get pancakes and eggs in the morning or burgers and tacos in the evening -- with just a small break in the hours between meals. The interior has some traditional-looking wooden tables and a ceiling that reminded me of an office building. A few green plants brought some life into the space, and minimal art decorated the walls. 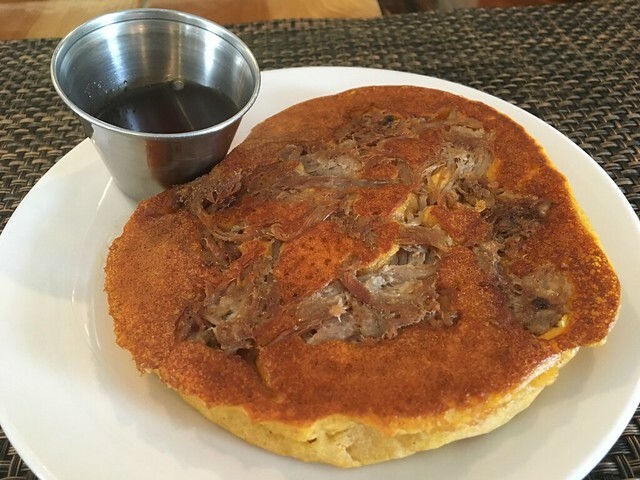 When I arrived, it was during the "a.m." menu, so I chose the strangest item I could: pulled pork sweet potato pancakes with Srirarcha maple. It was a great combo, though! 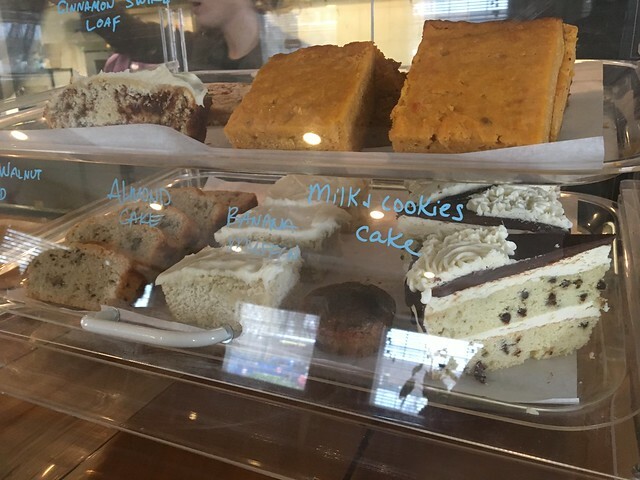 The sweet and savory always is a favorite of mine. I just had the one, but it was certainly filling all on its own. Next time, I'm coming for those PB&J pancakes! If you go, be sure to check and make sure they are open. 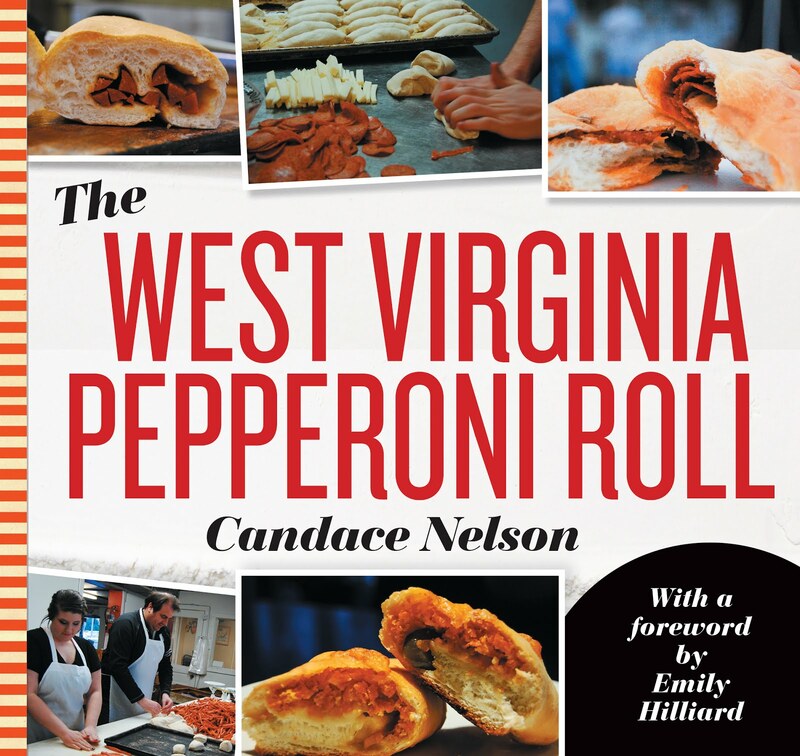 On Saturday, they have a gap between 2 p.m. and 5 p.m. when they switch over the menu. Have you been? What's your favorite?